Congratulations Mobile CSP teachers and students! The official results are in and Mobile CSP students performed very well on the 2018 AP CSP exam. Out of 73,732 students who took the 2018 exam, 4,031 (5.4%) were part of a course using the Mobile CSP syllabus and 76.2% of Mobile CSP students passed with a grade of 3, 4, or 5, compared to 68.9% for all students. In the following chart Mobile CSP students are shown in blue and are compared to the performance of all students. For the multiple choice part of the exam, the College Board divides all students evenly into quartiles and then calculates the percentage of our students who fall into each quartile. 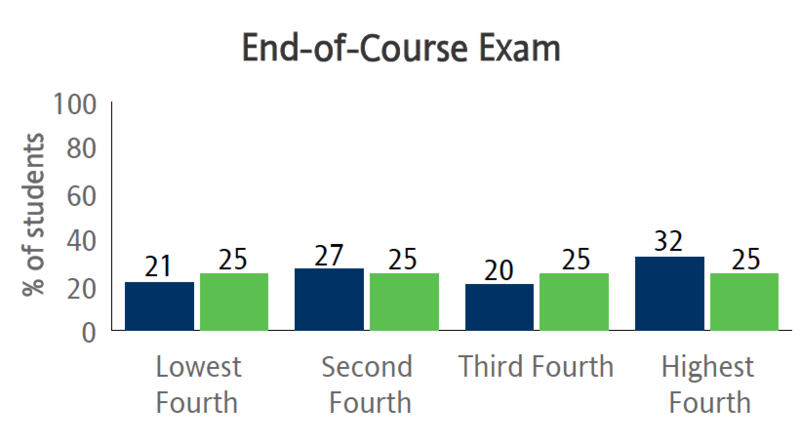 As this chart shows, 32% of Mobile CSP students scored in the top quartile, while only 21% or our students scored in the bottom quartile. These are good results. 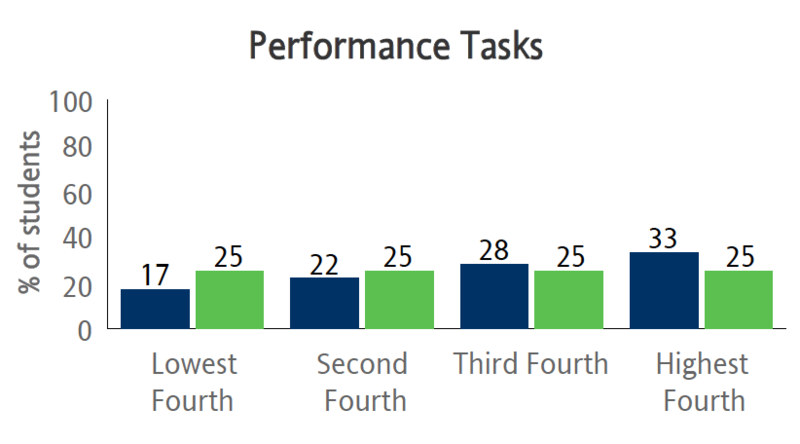 On the performance task portions of the exam, Mobile CSP students did even better, with 33% of our students scoring in the top quartile and only 17% in the bottom quartile. 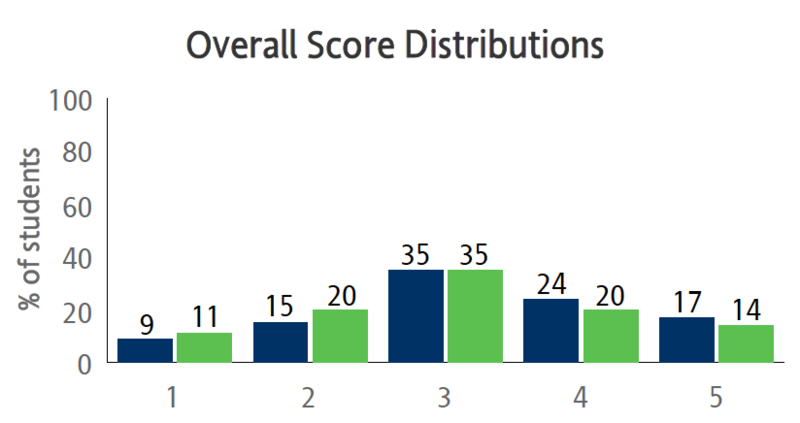 The College Board report (link below) provides a breakdown of student performance by content area (e.g., Algorithms, Abstraction, Programming, etc.). In every one of the 15 content areas reported for the multiple choice exam and the 5 areas reported for the performance tasks, Mobile CSP students performed at or higher than the global average. For example, in the area of Abstraction 1,475 (36.6%) Mobile CSP students scored in the top quartile compared to all students. And in the Create Task Apply Algorithms area 1,609 (39.9%) scored in the top quartile. These are very strong results. The College Board has not yet given us a demographic breakdown of the Mobile CSP cohort. We will update this summary when we receive those data. For more details, here’s a link to the original report from the College Board. Congratulations to all our students and teachers! Duluth, MN. 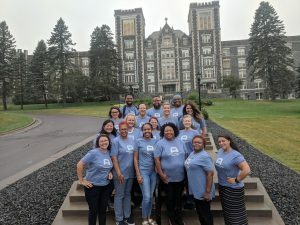 July 28 – August 1, 2018– Counselors from across the United States participated in the CS@CSS event at the College of St. Scholastica, a professional development opportunity provided by the National Center for Women & Information Technology (NCWIT) Counselors for Computing (C4C) program. Faculty (Jennifer Rosato and Tom Gibbon) and staff (Cassandra Broneak) at the College of St. Scholastica helped to organize this learning opportunity and supported those who were in attendance. This C4C training provided school counselors with information and resources they can use to support all students as they explore computer science (CS) education and careers. 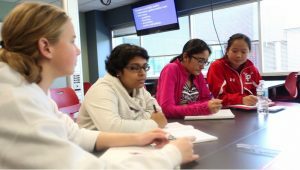 The National Center for Women & Information Technology (NCWIT) is a non-profit community of more than 1,100 universities, companies, non-profits, and government organizations nationwide working to increase girls’ and women’s meaningful participation in computing. NCWIT equips change leaders with resources for taking action in recruiting, retaining, and advancing women from K–12 and higher education through industry and entrepreneurial careers. Find out more at www.ncwit.org/. The College of St. Scholastica is an independent private college with locations across Minnesota, including the original campus in Duluth. Enrollment in the undergraduate and graduate programs has grown from 2,200 to 4,000 in the last decade, due, in part, to their commitment to making high-quality education available online and through convenient evening and weekend formats. 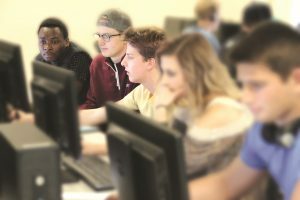 The College of St. Scholastica hosts important CS education grants such as Mobile Computer Science Principles (CSP), a College Board AP CSP endorsed curriculum and professional development provider, and the TeachCS@CSS program. Approved in spring of 2018, the College of St. Scholastica will also be home to a new Center for Computing which will focus on expanding CS opportunities for students from all backgrounds and experience levels. Hartford, CT, 2018 — Pauline Lake, Teaching Consultant at Mobile CSP will be featured in the 2018 STEM for All Video Showcase funded by the National Science Foundation. The event will be held online May 14th -21st at http://stemforall2018.videohall.com. 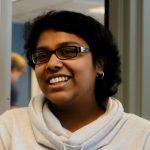 The presentation, entitled “Mobile CSP: Using Mobile Apps to Engage Students in CS,” looks at how engaged students are when learning about Computer Science (CS) through a lens that they are familiar with: Mobile phones! Mobile CSP began, officially, in 2013 with an NSF grant at Trinity College in Hartford, CT. Since then the project is now serving more than 600 teachers and 10,000 students nationwide!. The project was funded by the National Science Foundation. The theme for this year’s event is “Transforming the Educational Landscape.” Video presentations cover a wide range of topics including science, mathematics, computer science, engineering, cyberlearning, citizen science, maker spaces, mentoring, informal learning, professional development, research and evaluation, NGSS and the Common Core. The videos highlight initiatives for students of all ages – kindergarten through graduate school, as well as those for adult learners. A team of students from Frank Scott Bunnell High School in Stratford, Connecticut, under the leadership of Mobile CSP teacher, Rachelle Pedersen, was featured recently in a nice story on WTHN out of New Haven, Connecticut (View the story). 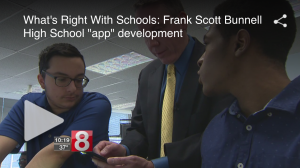 The story was part of WTNH’s What’s Right with Schools series and featured students using App Inventor to “create technology that affects and improves people’s lives,” a key feature of the Mobile CSP course. The U.S. Department of Labor estimates that by 2020, there will be more than 1.4 million computer-related job openings in the United States. At the current graduation rate though, only about 30 percent of those jobs will be filled with U.S. computing bachelor graduates. 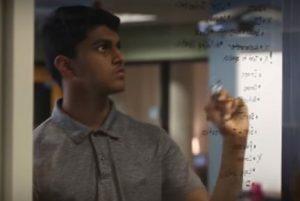 To increase interest and graduate numbers, Mobile Computer Science Principles (CSP) is helping high school teachers and students see how fun, easy and engaging computer science education can be for most anyone. Mobile CSP is a College Board endorsed AP Computer Science Principles course that works to engage high school students, enhance writing and communication skills and foster collaboration and creativity. In 2017-18 alone, there are more than 600 teachers and 10,000 students using Mobile CSP curriculum. With an extra push to get teachers and kids excited about the program, Mobile CSP is participating in CSEd Week, Dec. 4-10. According to the csedweek.org website, only 35 states allow students to count computer science courses toward high school graduation. There are currently 486,686 open computing jobs nationwide but only 42,968 computer science students graduated into the workforce last year. Mobile CSP is working to change those numbers, starting with encouraging teachers to bring an accessible version of computer science into the classroom. 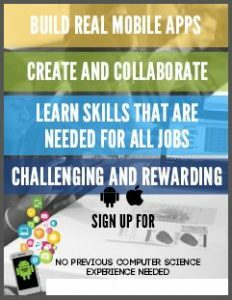 In celebration of CSEd Week, Mobile CSP is offering a new Hour of Code activity called Play That Tune. For the activity, students will build code to play the tunes given in puzzles, and after all levels are completed, students can create their own tune. Finally, the code can be packaged as an Android app. 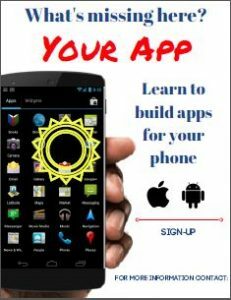 Participants can also try MIT App Inventor. By requesting a kit from Mobile CSP, teaches will receive stickers, posters, handouts and promotional information. Coding and Mobile CSP isn’t just about having fun though. With Mobile CSP, students build apps with real world solutions to local community problems. For example, one group of students built an app to report gang activity in their community. And, for some students, it could change their career path or outlook. “The feedback that I receive about the class is that it is fun, easy to pick up, and rewarding. 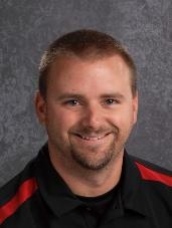 I have had a handful of students say that they may pursue computer programming as a career now because of this class,” said Griswold (Conn.) High School teacher Andrew Meislitzer, who has taught about 20 students Mobile CSP. Mobile CSP offers continuing education for teachers either online or at regional sites around the country, including The College of St. Scholastica (Duluth, Minn.). Once teachers have completed the course, they are ready to share the added knowledge with their students. 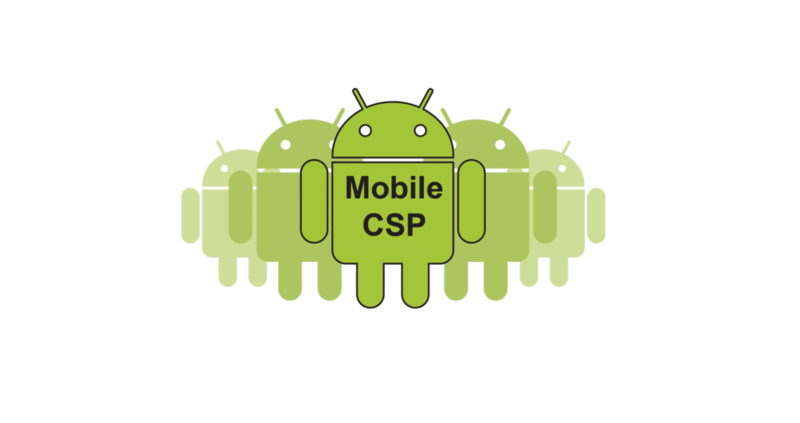 To find out more about Mobile CSP or how to sign up for the course and materials, visit mobile-csp.org. As 2017 draws to a close, teachers are beginning to advertise and recruit for their 2018-2019 courses. Mobile CSP is excited to release 7 new student recruitment flyers to help get the word out about CSP. Teacher are welcome to download, customize (add course title and contact information), and share the flyers (found here: Student Recruitment). Looking for more information about how to recruit students to your Mobile CSP course? View the tips below to get started. One of the most effective strategies teachers can use when recruiting students to their CSP course is to directly ask students to sign-up. By directly approaching students, teachers can empower those who may not have previously considered a CS course. Teachers have the power to show students that they too can be a computer scientist. Ask students to bring a friend with them to class or ask them to encourage a friend to join the course. This strategy will build class numbers, encourage students from a variety of backgrounds and experience levels to sign-up, and create a welcoming environment where students feel comfortable exploring and asking questions. When students promote the course, others will have an opportunity to hear authentic stories and experiences about Mobile CSP. Host a “Bring a Friend” event with your current class. Encourage students to share their apps and CSP experience outside the classroom with their friends and family. Information sessions are a great way to get students, teachers, administrators, counselors, and parents/guardians on board with CS education. Host an information session that highlights the potential of Mobile CSP and the skills students will develop from taking the course. Consider inviting past students to share their experiences and the apps they have created. Let’s get started! Mobile CSP has loads of valuable information on our website to help you get started in planning an information session. Contact Mobile CSP (info@mobile-csp.org) for additional resources and information. Target courses and classes that all students are required to take (i.e. English, Math, Science courses) and ask teachers to share information about the course. Alternatively, ask to speak for a minute at the end of the class. Using this method gives you exposure to all students. It is important that teachers advertise the opportunities and benefits associated with taking Mobile CSP. Share flyers, posters, videos, and presentations with students, administrators, and parents. Download, customize, and share the Mobile CSP flyers with your students today! The flyers can be found here: Student Recruitment. In a recent blog post in the Communications of the ACM Mark Guzdial identified Five Principles for Programming Languages for Learners. In a nutshell, the five principles suggest that a good programming language for learners should be low threshold, high ceiling, a phrase coined by Seymour Papert, the creator of the Logo programming language, a language that Mark recognizes as a good model of the five principles. How well does App Inventor, Mobile CSP ‘s programming language, do in satisfying Mark’s principles? 1. Connect to what learner’s know. Today’s high school and college students practically live on their smart phones. 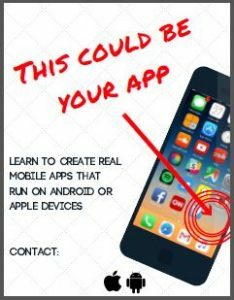 The Mobile CSP course tries to meet them where they live and help them transition from users of mobile technology to creators of real mobile apps. This is part of the low threshold. 2. Keep cognitive load low. As Mark acknowledges, blocks-based languages do “a terrific job of lowering cognitive load.” App Inventor is an excellent example of this. App Inventor’s components and blocks (its programming tools) are powerful abstractions that meet students at a level where they can immediately begin creating their own apps. Students are able to create a mobile app from scratch and run it on their mobile device on their first day of programming. So here too App Inventor presents a low threshold for entry into a learning experience. 3. Be honest. In App Inventor and in the Mobile CSP course, students are building real apps. Students are encouraged (well, required really) to create apps that benefit their friends, families and communities. Currently App Inventor apps run only on Android devices, but we expect that to change soon. The 2018 edition of the Mobile CSP course expects to support both Android and iPhone programming in App Inventor. This is part of the high ceiling. 4. Be generative and productive. A good language for learning to program must enable the learner to generate new ideas and be productive in exploring new domains. In the Mobile CSP course we are trying to promote computer science for all. We don’t expect all students to become professional software developers. They should be able to apply their new knowledge and skills to explore their interests. And this is what we see in the Mobile CSP course: students’ final creative projects span a broad range of interests in art, psychology, science, math, education or other domains. This too is part of the high ceiling — there is no limit on what students can achieve. 5. Test don’t trust. The idea here is to see what works. 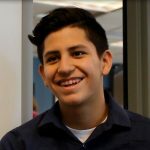 Our experience has shown that students and teachers respond positively to App Inventor. For example, in an analysis of our pre- and post-surveys from the 2016 course, 85% of students reported that they enjoyed programming and getting their apps to work. I think it’s pretty clear that App Inventor satisfies Mark’s criteria as a good programming language for learners. But this is not surprising given its genesis. App Inventor was created by Hal Abelson who worked with Seymour Papert in implementing and using Logo in education. So, as described in this video, you can sort of see App Inventor as a Logo for the mobile age! The official results are in and Mobile CSP students performed very well on the AP CSP exam. Out of 47,216 students who took the 2017 exam, 3,611 (7.6%) were part of a course using the Mobile CSP syllabus and 78% passed with a grade of 3, 4, or 5, compared to 74% nationally. In the following chart Mobile CSP students are shown in blue and are compared to the performance of all students. For the multiple choice part of the exam, the College Board divides all students evenly into quartiles and then calculates the percentage of our students who fall into each quartile. 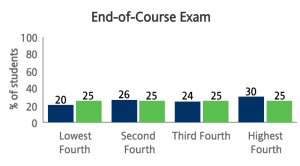 As this chart shows, 30% of Mobile CSP students scored in the top quartile, while only 20% or our students scored in the bottom quartile. These are good results. On the performance task portions of the exam, Mobile CSP students did even better, with 40% of our students scoring in the top quartile. 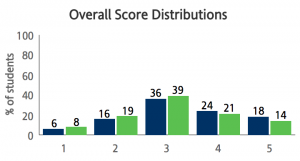 The College Board report (link below) provides a breakdown of student performance by content area (e.g., Algorithms, Abstraction, Programming, etc.). In every one of the 15 content areas reported for the multiple choice exam and the 5 areas reported for the performance tasks, Mobile CSP students performed at or higher than the global average. For example, in the area of Abstraction 1,780 (49%) Mobile CSP students scored in the top quartile compared to all students. 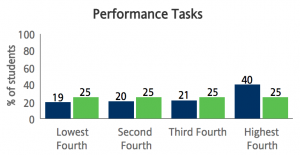 And in the Create Task Apply Algorithms area 1,671 (46%) scored in the top quartile. These are very strong results. In an earlier report the College Board gave us a demographic breakdown of the Mobile CSP students who took the exam. This was for a somewhat smaller sample size (3,531 examinees). 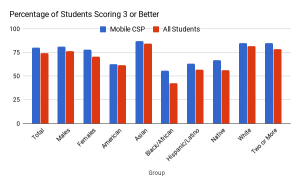 What these results show is that Mobile CSP students out-performed the average in every demographic group. In terms of gender breakdown, Mobile CSP students track pretty closely to the national group, with 29% female students (compared to 30% nationally). 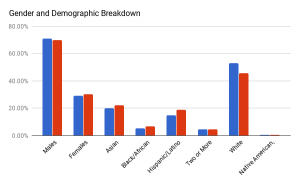 Demographically, we come in a little lower in terms of our percentages of underrepresented minorities (Black/African American and Hispanic/Latino). 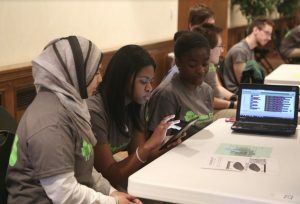 This year, in the fourth year of the program, Mobile Apps for Hartford interns (students from HMTCA and Pathways) had the pleasure of working with the Connecticut Science Center to build a mobile app for the new Butterfly Encounter. For the full story and a video, please see the article posted by Trinity College. Thank you for your continued support of the program and congratulations to the students!